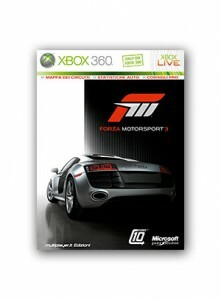 Videogame Forza Motorsport 3 for Xbox 360 strategy guide is in distribution throughout Italy and was printed from Graffietti Stampati. It is a 256 pages guide, cm.21×27, coated paper, opaque gr.100 for internal pages and glossy from gr.250 for the cover, the cover is opaque plastic. Small images that dominate throughout the guide required a high-definition and here comes in our screen Agfa Sublima giving the images a quality above the standard by venting all of the details contained in the files of photographic printing. Result? : Outstanding! Recommended to all lovers of engines and motor racing. The amazing race simulations that offers this game, almost impossible to define the line between game and reality. Our usual thanks to the publisher.